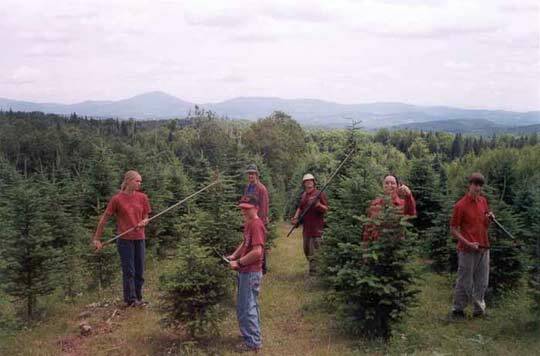 Our family Christmas Tree Farm has been working for your family Christmas for a long time. Last year we sold 30 tons of Balsam brush from 60 acres of stump culture. Our premium Balsam (any size) trees are shipped nationwide both wholesale and retail. Many families choose and cut from our plantation in the glorious Northeast Kingdom of Vermont. Give us a call at 802-626-8075 or e-mail us at pineberryfarm@gmail.com. Your tree will come with our thanks from the Potter Family; 1514 Vertical Mile Road; Wheelock, Vermont 05851.